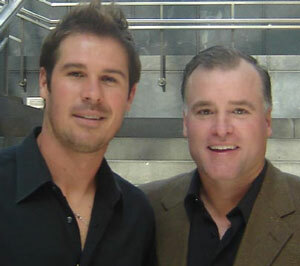 A fifth round draft pick of the Eagles in 2001, Feeley is in his second stint in Philadelphia after re-signing with the club during the 2006 preseason and later inking a three-year contract extension on 2/25/07. 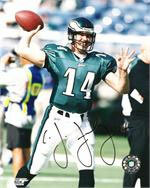 Feeley started the final five games of the 2002 season when Donovan McNabb and Koy Detmer were both sidelined by injury, and went 4-1 in that span, helping the Eagles secure home-field advantage for the playoffs. He was then traded to Miami in 2004 for a second round draft choice that was used to select WR Reggie Brown, and later to San Diego during the 2005 season. As an Eagle, Feeley has completed 58.6% of his passes for 2,177 yards and 16 touchdowns.